UAE Upgraded to "Emerging Market"
The UAE has been upgraded to an "emerging market" from a "frontier market." 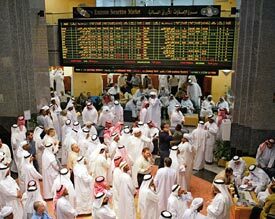 Russell Investments has recently upgraded the UAE to an “emerging market” from a “frontier market” and is the first GCC country to be promoted to that designation. In addition to the economic development of the market, the monitor also looks at things such as the legal framework around the market and its “breadth in liquidity.” Restrictions on foreign ownership and low liquidity levels are the reason that most GCC nations are classed as “frontier markets.” The UAE is also under review by by the Morgan Stanley Capital International index to be upgraded to “emerging market” status.